When it comes to SEO, its ever-changing nature makes it one of the most complex and intricate components of your marketing strategy. Revolutionary trends will no doubt determine how we interact with search engines in the new year, and consequently, how searchers will find your content. Websites are a significant business investment, and they demand a considerable amount of your resource to satisfy users and stay ahead of competitors. So putting them in front of the right people at the right time should absolutely be a priority. And, we all know by now that without effective search engine optimisation, our website visibility is compromised. There are now over 200 factors in Google's algorithm, and if you're not cognizant of updates and trends (economic and political, for example) that could cause search engine results to skew, you could stand to lose any precious ranking juice you've accumulated. Online authority is the result of a culmination of habits and a commitment to producing well-curated, high-quality content that your audiences want to read, share and link to. As we enter the last quarter of 2018, it really is time to start considering how things have changed, where things are going, and what you can do to ensure your SEO efforts remain successful. Post-click activity determines search result quality and whether the user’s intent was met. Note that this is regardless of whether the user spends 5 seconds or 30 minutes on your page. What matters more is the action they take next. If for example, the user leaves your page to return back to the search results page, where they click on another listing, Google interprets this as an unsatisfied user and therefore deems your content irrelevant or unhelpful. The subsequent actions of searchers perusing your content can also help inform the direction of your strategy. Which keywords and phrases are behind the internal links garnering the most clicks, for example? This should help you determine related topics and queries which will uncover more content opportunities for you. High shareability is not only a great way to gain exposure but is also a high indicator that searchers view your content favourably enough to share it with their peers. How do you improve shareability? Personally, you might feel more compelled to share content that resonates with you on some level, and will provide value to others in your space. Try to replicate that feeling for your readers - how can you resonate with them? This comes down to knowing your buyer personas. If you are aware of their problems, challenges and values, you can produce unique, relevant and valuable content that provides solutions to their problems. It also helps to prioritise readability - making your content scannable and easy to digest with the use of blogging best practices, bullet points, white space and subheads. Ultimately, content must be of a high quality and positioned to provide answers to the questions people have. According to HubSpot "content that is selected to appear as a featured snippet can achieve double the click-through rates of organic search results." Featured snippets are also known as position #0 on Google. They are designed to answer the searcher’s query in an immediate, helpful response. But what makes a piece of content Snippet-worthy? Snippets are directly sourced from the article itself and they tend to respond to queries starting with how, what, why, does, which, should and why. It’s best to take this approach when writing your content. What question are you trying to answer? And can you summarise this in 2-3 sentences within your content? Or, as we commonly see, in a concise bulleted list. Snippets are also moving towards a more user-intent focus, and are closely linked to voice search which is proliferating at an even faster rate as we head into 2019. The popularisation of home devices such as Google Home and Alexa is partly responsible for this. Think conversational language and directly try to answer potential questions. Site speed is already an enormous factor in determining your SEO value, and the leverage this provides will only increase as we approach 2019. Users abandon slow loading sites, and there is proof to support this. CrazyEgg reports that just a one second delay in page load time can yield up to 11% fewer page views and a 7% drop in conversion. Simply put, if your site speed is not a priority you’re sabotaging not only your SEO but your opportunity for conversions. Producing content for the sake of content can dilute your offering. Since the dawn of topic clusters, there has been more a focus on topic-based content as opposed to keywords. Producing content that is either loosely (or not at all) related to your central topics could dilute your core offering and work against you. For reasons that we are not yet completely sure of, Google favours the ‘less is more approach’, so keep your topics streamlined and categorised so that they support a strong site architecture, and it is clear which subjects you are trying to rank for. Videos are predicted to account for 80% of internet traffic by 2021. Videos are highly shareable, and they deliver content in a more interactive format that gives users an opportunity to consume information visually. Video also keeps people engaged on your site for longer, which is great for post-click activity as it means they are less likely to bounce off. But of course, there are rules to follow with video. Creating a high-quality video that is entertaining, engaging and valuable is key to keeping people engaged, encouraging shares and nurturing relationships with prospects. Equally, it helps to pay attention to search suggestions related to your topic, reviewing the video content already out there and trying to do one better. What am I trying to achieve with this content? Would this answer my question if I had the same query? Would I be willing to share this? It also pays to be aware of trends, algorithm updates and changes in your prospects' behaviour that could affect how they prefer to consume content. 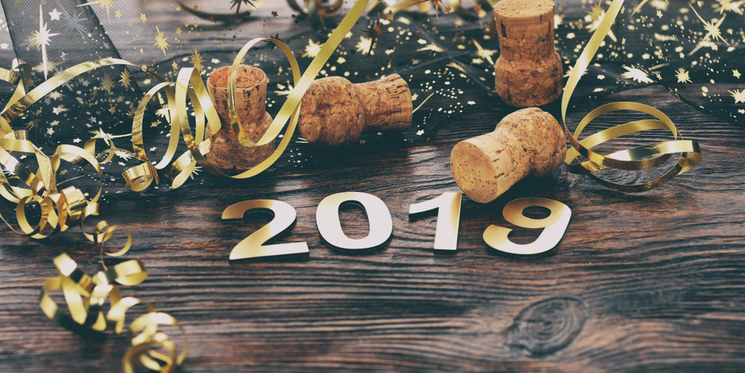 2019 looks set to be another year of big change in the SEO sphere, so keep on learning, updating and reviewing to stay one step ahead.